Stay looking good on or off site with Dickies’ Relaxed Fit Straight Leg Double Knee Pants. The twill blend and two-piece waistband keeps you comfortable with all the heavy-duty features. The polyester/cotton blend is a very durable and long-lasting construction for even the hardest workers—and the double-knee feature is perfect for when the job takes you to your knees. 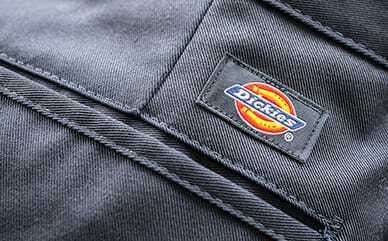 In addition, Dickies included a multi-use pocket on the leg for convenience.